Incarcerated Samoan youth look to the Somoan Community and to Community Leaders for support to stop hundreds of Somoan youth falling through the cracks of the judicial system. Samoan community leaders have seen the writing on the wall and will step up to the plate to confront and bring justice to hundreds of Samoan youth that cannot receive due process through the San Francisco Juvenile Probation Department. Further through the imperfect judicial system that is biased to Samoan youth in particular and those that lack community support in general. There are some Probation Officers who should cease from paying lip service and bring shame to career hard working Probation Officers. Time and time again some Probation Officers have gone out of their way to send some Samoan youth to unjust incarceration - without due process. This must stop at once. The time has come for the Samoan Community to step up to the front and bring about some concrete changes. Towards that end some Samoan leaders will address many cases of injustice with the authorities in charge and will demand concrete changes with time lines very soon. At the San Francisco Juvenile Commission Meeting held at Milton Meyer Gym no meaningful outreach was done to the Samoan community. This was a slap in the face of the Samoan Community. More so when so many Samoan youth are incarcerated mostly from Public Housing. Is it fine to accept for granted the lives of thousands of Samoans that serve in the Armed Forces? Is if fine to accept that many of them have died for our country? Is it fine to tax the Samoan Community and yet when it comes to services to be the last on the list and to be given paltry sums towards community services? Where is the justice and why is it that the leaders have failed to bring about any resolution? 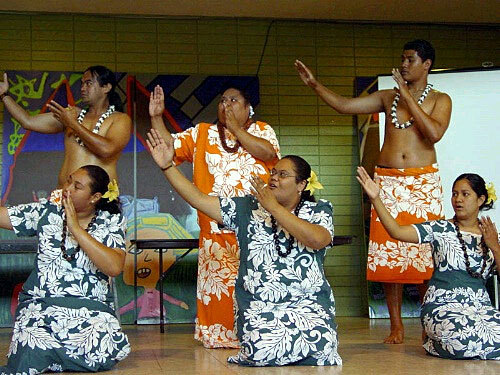 Is it fine to incarcerate Samoan youth and fail to understand the noble traditions of the Samoan and Polynesian nations? Time and time again I have with qualified Law Enforcement Training - noticed many infringements crying for justice with the Juvenile Probation system. I have gone out of my way to help all youth in San Francisco. In recent years I have focused on youth that come from disadvantaged communities - in the Bayview Hunters Point, Army, Potrero Hill, Visitation Valley - these youth live in Public Housing. In my quest to understand the situation as best I can - I work with leaders that the youth respect. How ever in some areas the youth have adhered to a life of dire survival and mistrust. Some youth as young as 12 and 13 years are committed to gangs and a life that is centered on the gang. They will kill and defend their turf and stand no incursion from strangers and forces that invade their turf. In years past it was possible for some gang leaders to make a pact and bring about a truce - if dire needs demanded such an action among turf gangs. Today this notion that anyone can go into an area and bring about a truce - is a dream on paper and far away from reality of the past. The San Francisco Probation Department for sure has little if no understanding of the Polynesian culture. It has no idea of the current evolution of survival of gang's members in an environment that City Supervisors and City Mayors have neglected for years. That includes Mayor Gavin Newsom who thought and thinks dunking some hoops would and will bring about change. In the past politicians have failed our youth in Public Housing. Today the worst example is Sophie Maxwell a product of Haight Ashbury and a woman that has no clue what so ever when it comes to turfs and gangs. Inept and arrogant as she is she does great disservice to all constituents of San Francisco. The Law Enforcement Task teams want to pretend that they understand the players and the field that they purport they fathom and comprehend. They are groping in the dark and fighting a lost cause. Again and again they are baffled by simple misconduct and egregious crimes that demand felony charges - leaving most Law Enforcement licking their wounds and learning from experience to thread softly and learn from their new crime surroundings. The San Francisco Juvenile Probation Department is lost in a jungle of their own making. Working conditions are not conducive to progressive actions. The expanded SF Juvenile Probation Department cannot bring about changes without a committed change of attitude and replacement of Probation Officers many of whom care less for their jobs and still less for those they swore to serve - to bring about change for the better. I reviewed a recent document that the SF Juvenile Probation Department has printed. A careful study of this document reveals to any trained personnel in Law Enforcement that too much emphasis has been put on so called experts. Most of these experts are White with prudish notions that are antiquated and out dated. They have no clue what is really happening in the hood? Less the language barrier, cultural morass, tight turf unisons - keep them all guessing and confused. San Francisco has a population of about 750,000. We are a diverse population with unique youth problems. Most of youth are under served and do not deserve the injustice meted out to them on a daily basis. The San Francisco Unified School District is a joke. Just attend one of the SFUSD Board meetings and you will understand why the system is broke. Our Public schools have failed our students and have done that even as enrollment in all public schools in dwindling. The incidents at Thurgood Marshall, Burton High School and other schools are an eye opener. I have heard people talk but their talk is far way from real solutions - and using the blame model - takes anyone away from real solutions. In the end the students suffer. That is not the way to go and the youth sincerely feel that the adults have failed them. The Thurgood Marshall incident took over a year to be adjudicated. In the end nothing much came from all the hearings and confusion. San Francisco has no protocol when it comes to truancy. Students can stay away from school for weeks on end. If any student is caught and cited for truancy - there is no support system. Much like what happens when any youth is incarcerated. You cite then incarcerate and then leave the youth to fend for themselves. This nonsense must stop at once. The gangs that rule the various turfs have all had a taste of Juvenile injustice. Does this mean anything to the judicial system and to those that purport to uphold the law? Does this fact mean anything to the community at large and to our City Officials that have no clue how the youth feel? Again and again so called adult experts - many of them with no compassion and half of them uneducated on youth issues - make and enforce youth policies. Do we have a Youth Commission in San Francisco? The time has come to bring former gang members and the Youth Commission to judge and address those youth incarcerated. I will state again as plainly as I can our judicial system has failed our youth. I can hear many in the judicial system standing for their fake rights and decisions. I challenge anyone with an open mind to attend the judicial proceeding and reveal to the public at large their findings. Dogs at the Society for the Protection and Cruelty to Animals (SPCA) are treated better. Go visit the SPCA! To those that get to hear the truth from the youth - the statements made cannot be printed. Suffice to say that the situation is a mess and the attention to the cesspool created by the authorities that be - demands a complete over haul. We have to address the situation on a war footing. Today, the few hard working Probation Officers who take a stand at the SF Juvenile Probation Department are reprimanded and get little support. The lazy ones get away with murder. No one gives a hoot about the youth. Most of the facilities incarcerating the youth have no room for community involvement. The time has come for total community involvement. Some Probation Officers fear to visit the communities where they are not welcome. The reason is simple they have created an atmosphere of hostility brought about by their own divisive actions. Actions that have stemmed from years of abusive meted out to the youth. Experts and documents written by so called experts do not address complex problems on youth and incarceration. Community Based Organization run by he and she-thugs do not automatically bring about solutions. Today, thousands of dollars are wasted in the Bayview Hunters Point - grants given to crooks that have NO transparency and No Accountability. 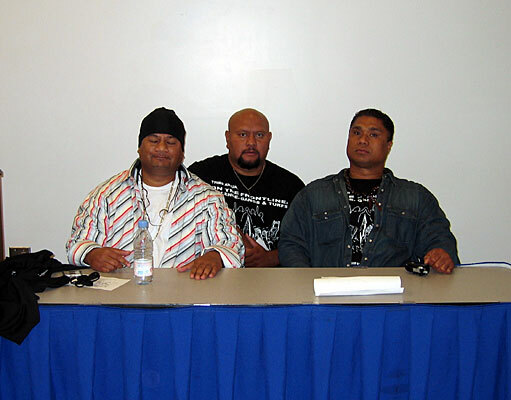 There is no single Samoan organization that is given grant money to support incarcerated Samoan youth. If it is fine to incarcerate so many Samoan youth - why has not our City and the SF Juvenile Probation Department looked to seek ways to bring about concrete mitigation? Where are the District Attorney, the Public Defender, and the SF Mayor's Office on this critical issue? Why no grant money and fiscal help to bring about solutions? Our youth will not take this nonsense sitting down. The warrior Samoans will not take this injustice anymore. Wake up before it is too late. Any takers? Samoan Youth looking at You.